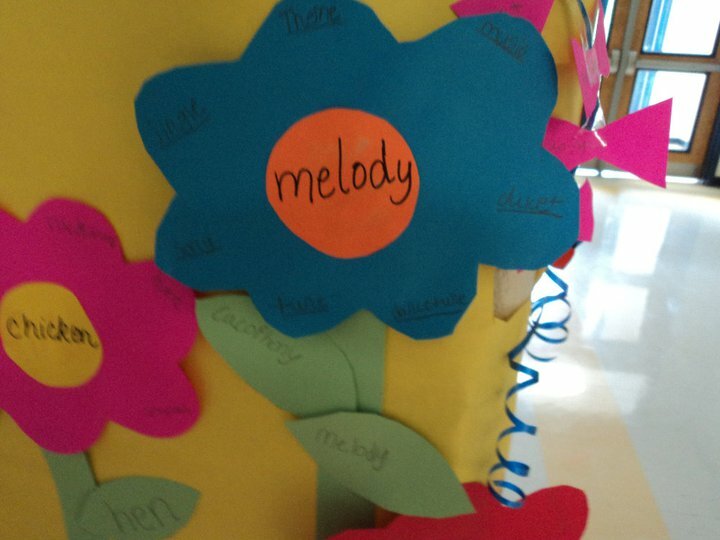 As a review of synonyms, students make construction paper flowers with six or more petals. We make the flowers using a pattern which students trace that is about nine inches in diameter with stems to make them between a foot and two feet tall. Improvise! 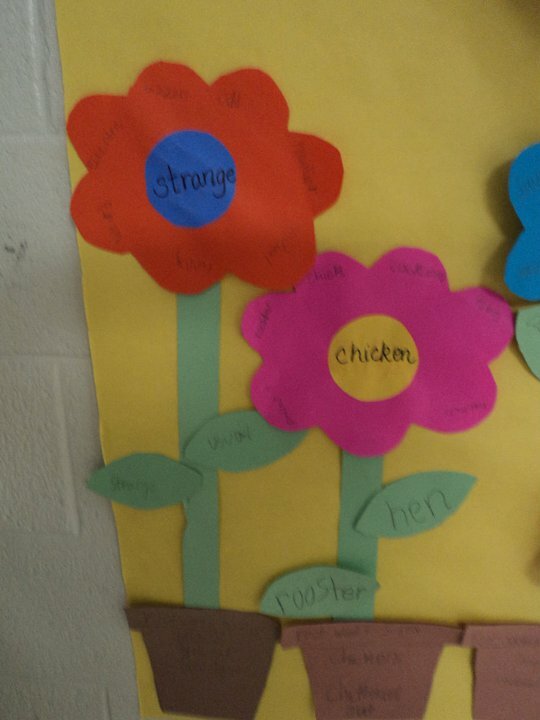 :) Students write a word on the center of the flower. 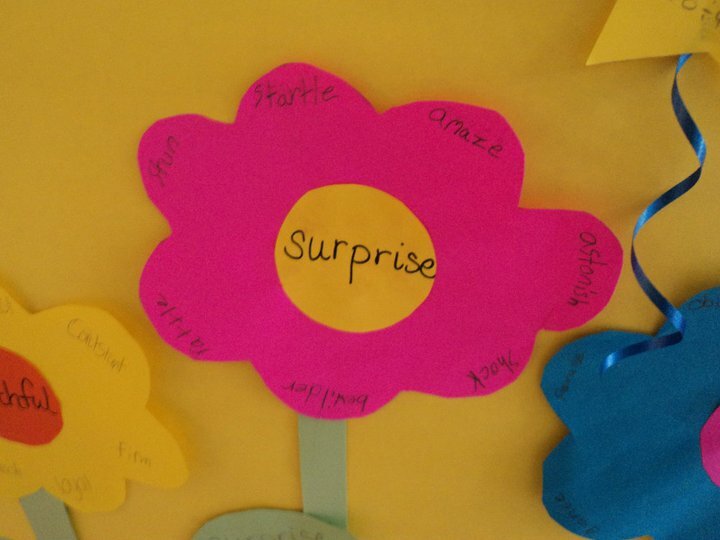 They use the thesaurus to find synonyms which are then written on the petals of the flower. Flowers are posted in the hall to show off our "Synonym Savvy!" ;) We used leaves this year for the antonyms because we'd already completed our "Captain Antonym!" activity earlier in the year. We also make construction paper pots on which we write another word at the top or rim of the pot. Below, students write the word using all the prefixes and/or suffixes they can. See pictures.